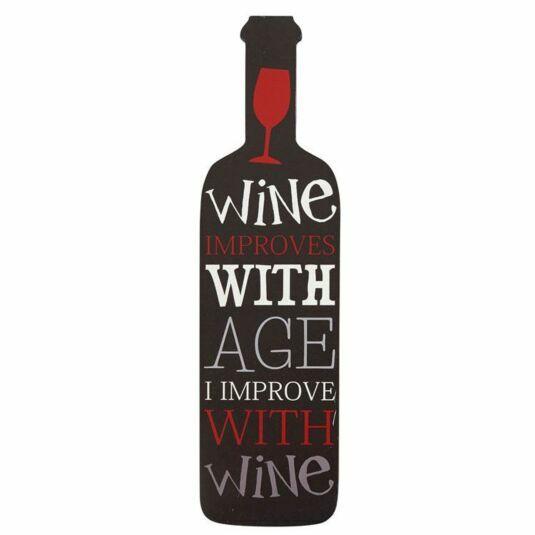 They say a good wine is one that has matured; this bottle shaped sign agrees with that philosophy, with an additional clause! The sign is provided with a hanging hook on the back. Good Health!